Anais in Paris is a 51/2" x 8" 24-page comic by British expat (she now lives in the US) cartoonist Mardou, who was the editorial force behind the 2005 Small Pets anthology featured in the last Notes. 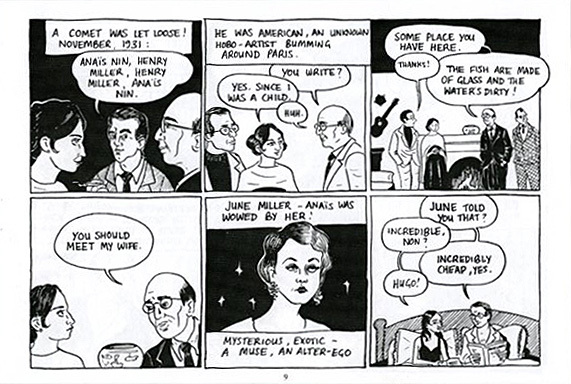 It's a biography of, as the comic itself titles her, "muse, groupie, literary legend – Anais Nin". And let's just let that one sink in a while: a biography of Anais Nin, in comics form, that's just 21 pages long (not including covers etc.). By anyone's reckoning, that would be something of a challenge. You might be able to compress, say, my life thus far into 21 pages (probably less, actually, but anyway), but to do justice to the life of an important literary figure like Nin in so few pages would be next to impossible. 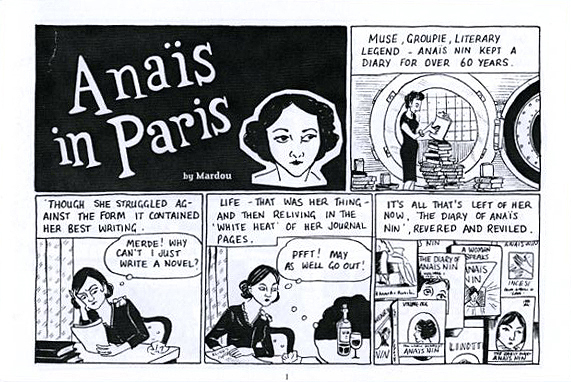 Luckily, Mardou clearly felt so too, which is why she largely concentrates here on Nin's time in Paris, from 1924 to 1939, the years covered in Volume 1 of Nin's diaries. Even so, as Mardou herself admits in her introduction (which also details the complicated origins of the comic, almost worth the price of admission alone), Anais in Paris was "a lot of work and [I] don't expect to attempt anything similar for a long time". What's surprising, then, is that the end result feels so effortlessly breezy. After a few pages of background and scene-setting, we follow Nin and her new husband, banker Hugh Guiler, as they move to Paris in 1924. At this point Nin is actually quite prim and reserved, but once she's had her first book published and met Henry Miller, the floodgates open. Or, as Mardou puts it, "A comet was let loose!" It's exuberant asides like that which lend Anais in Paris its freshness. In one brilliant sequence Mardou presents a series of snapshots of events across three panels, summing up a period of years in Nin's life in a flurry of images, captions, exclamations, speech balloons and thought bubbles. It's the kind of confident abridgement that only a talented, experienced cartoonist could attempt, and Mardou is both those things. 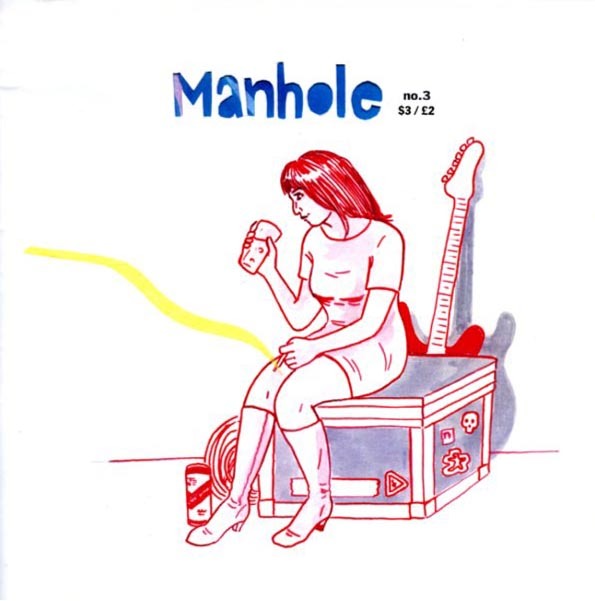 The first time I came across her work was, I think, back in 2003 or 2004, in the pages of the first issue of her own comic, Manhole. 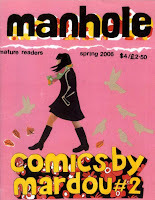 She was also collaborating with writers Fortenski and John Dunning in A4-sized comics Stiro and Lolajean Riddle, but, good though some of that material was, it was evident even then that the comics she was writing herself as well as drawing were more promising. 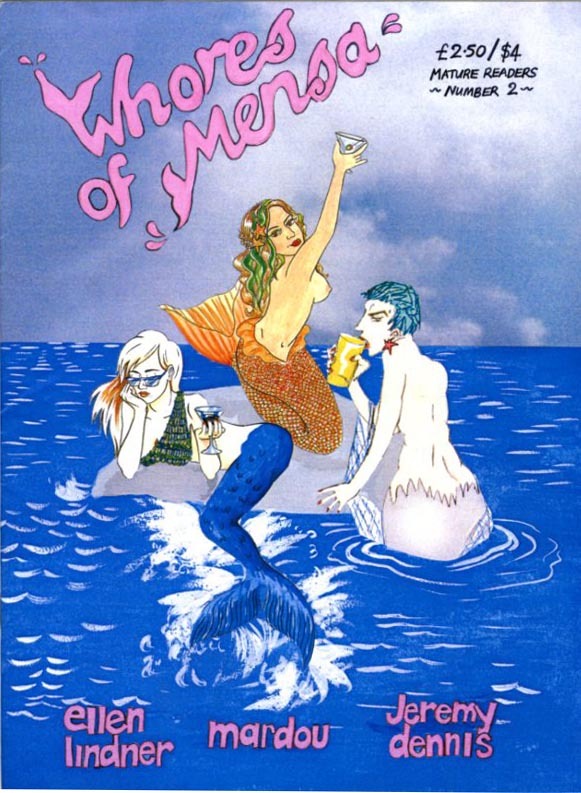 Though the artwork was a little rough round the edges, the writing was sharp, mixing autobiographical elements with fiction and examining the stuff that makes up most of our lives: relationships, rubbish jobs, and going out and getting pissed. 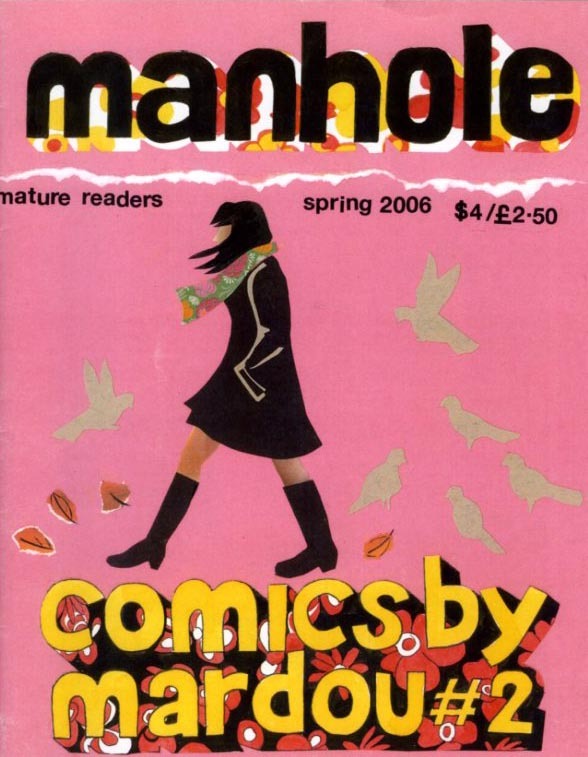 The comics that Mardou published in the all-girl anthology Whores of Mensa (alongside Jeremy Dennis, Lucy Sweet and Ellen Linder) demonstrated a definite leap forward in her artistic abilities, and by the time the second issue of Manhole rolled round in 2006 (by which point she'd upped sticks and moved to Missouri), comprising mostly of one long story, the splendid "The King of It", both drawing and writing were working in unison. 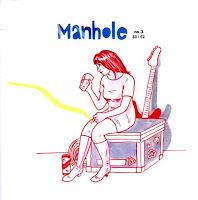 In Manhole #2 – and everything since – much of the awkwardness in her drawing disappeared, and that which remains goes hand in hand with the social situations she depicts, where being at right angles with life is just an everyday thing. Anais in Paris represents another string to her bow, a delightful experiment and, despite the effort that went into it, probably a welcome diversion from her main creative focus of the last few years: an extended, autobiographical graphic novel dealing with drugs and clubs and friends and a particular place and time (one I'm pretty familiar with) that promises to be something special. 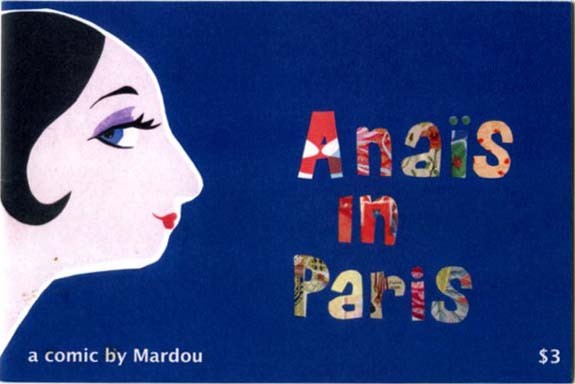 While we wait for that, however, we have Anais in Paris (which can be purchased from the USS Catastrophe shop, along with Manholes #2 and #3), not to mention the sketchbook drawings and comics Mardou posts on her blog. All of which, as ever, I urge you to check out. My pleasure. This blog's not exactly Newsarama (for which I guess we should be grateful) but every little helps. You're my John Craven and I salute you! Ha, that'll have American readers of this blog scratching their heads. John Craven's still fighting the good fight, y'know, reporting on issues affecting the British countryside on the BBC's Countryfile. He is the bomb.